Founded originally in Boulder in 2003, the Lama Yeshe House started as study group of friends exploring the Buddhist teachings, particularly within the Gelugpa lineage of the Dalai Lamas. We take our name from the pioneering Buddhist master Lama Thubten Yeshe, who along with Lama Zopa Rinpoche founded the Foundation for the Preservation of the Mahayana Tradition (FPMT) in 1975. In 2012 we moved to Denver, and in 2017 we were established as an affiliated Dharma center of FPMT. Most of our courses are taken from FPMT Education programs that are instructed or lead by FPMT registered teachers. We offer regular classes on Buddhist philosophy and practice, meditation instruction, community events, and weekend workshops and retreats. We are committed to an open spirit of non-sectarianism and respect for all religious traditions. ​We also greatly benefit from the the large community of FPMT lineage masters and teachers who regularly visit us to offer teachings, retreats and empowerments. What need be said of His Holiness? A global ambassador of compassion, non-violence, forgiveness, joy and inter-faith dialogue who has touched millions of lives. He is a deep inspiration for our community and model for our vision in the world. The first Dalai Lama was a student of the founder of the Gelugpa tradition, Je Tsongkhapa (1357-1419), the lineage of Buddhist teachings that we follow. 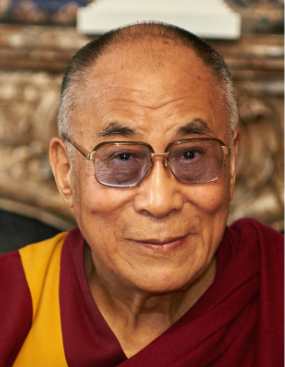 You can learn more about His Holiness and find resources here. Lama Yeshe was a founder of the FPMT. A visionary teacher who was particularly skilled and intent on presenting the Buddhadharma to Westerners in a way that brought genuine transformation to arise deeply in their hearts and minds. He is the author of many books, including modern Buddhist classics like Introduction to Tantra, and The Bliss of Inner Fire. Lama Yeshe passed away in 1984. Since his passing, the FPMT has grown to over 150 Dharma centers, projects and services in 37 countries. His reincarnation was recognized a few years later as a Spanish boy, Osel Hita, who is now in his early thirties and is teaching Dharma and pursuing interests in filmmaking. Rinpoche is the tireless Spiritual Director and Co-Founder of FPMT and the heart student of Lama Yeshe. Rinpoche's service to sentient beings never stops. He is famous for teaching until dawn, missing flights in order to help someone he just met who is suffering and needs teachings, empowerments or blessing. FPMT has recently implemented Rinpoche's "Vast Visions" - service projects spanning hundreds of years in scope and all facets of humanitarian and spiritual works. You can watch teachings of Lama Zopa Rinpoche through FPMT's "Rinpoche Available Now" project, on livestream.